After two years, “Mortal Kombat: Legacy” is finally set to return. Warner Bros. Digital Distribution has announced that “Mortal Kombat: Legacy” will premiere its entire second season on Machinma on Thursday, September 26. Once again, Kevin Tancharoen has directed and co-written the series alongside Josh Baizer and Marshall Johnson. 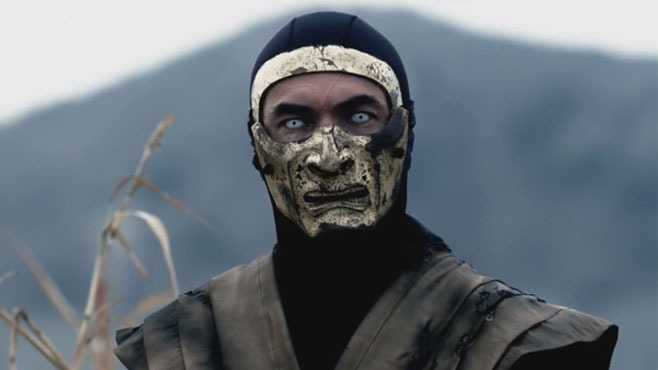 Machinima has also unveiled a new trailer for “Mortal Kombat: Legacy” Season 2 that features returning cast members Ian Anthony Dale as Scorpion, Samantha Jo as Kitana and Cary Tagawa as Shang Tsung. Also seen in the trailer are Liu Kang (Brian Tee), Kung Lao (Mark Dacascos), Kurtis Stryker (Eric Jacobus) and Mileena (Michelle Lee). Harry Shum, Jr. ("Glee") and Casper Van Dien (Starship Troopers) are also joining the cast this season as Kuai Liang and Johnny Cage, respectively. Let us know what you think of the new “Mortal Kombat: Legacy” Season 2 trailer in the comment section below!